Sometimes we human beings seem to be remarkable at bringing people together to achieve something, and many times we are not remarkable. Sometimes we are very clear on what we want to do together, on why we need each other, and how we will interact to have the impact we desire. Most people describe these experiences as highly engaging. Whether an afternoon in the country with some friends or landing a robot on Mars, we are capable of uniting our efforts in beautiful ways. I have been sitting for years with the question of why these uniting, high impact resilience, energizing moments are less frequent than most people want. If we prefer this experience, then why don’t we do this all of the time? If we need to collaborate to achieve some of our larger societal goals, why don’t we more often? One answer I have found has to do with how we treat ourselves and others. Everyone I have met over the last two decades, in over a dozen countries, has told me that they have had the experience of being highly engaged, energized in human interactions. As I ask about their experience, it seems that in all of their stories, they experience being well hosted. They experience higher vibrancy in how they are hosting their own self, in their being hosted by and hosting of the other, of the group, by a creative process, where they experience being connected to a creative flow. 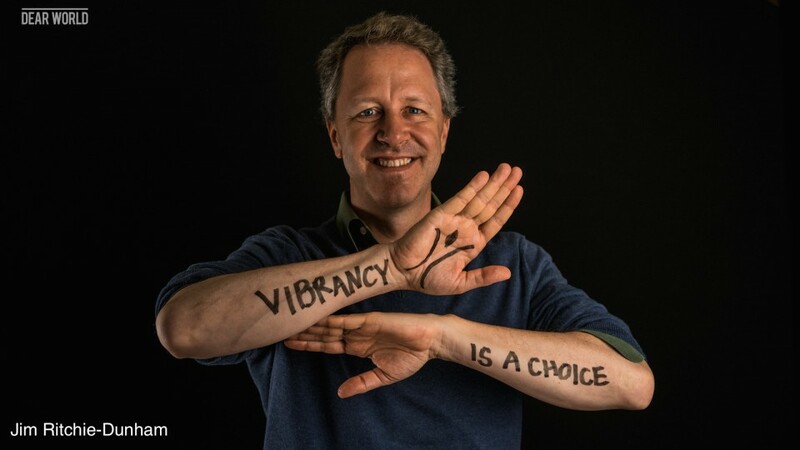 Eventually, my colleagues and I saw that they were expressing the experience of vibrancy in five primary relationships (self, other, group, nature, spirit). What we also began to notice was the level of co-hosting in each of these relationships, the recognition that other people were also hosting with them and with the processes of nature and spirit. A whole lot was happening in the interaction–it was being hosted simultaneously by many different people, processes, and structures. We started calling this co-hosting. Recently my colleagues and I have become more aware of the deeper capacities in excellent co-hosting, where people more consistently are able to co-host higher levels of vibrancy experienced in the five primary relationships. We are experimenting with this “sacred hospitality,” co-hosting with greater intention and attention, with the clarity that one is inviting a harmonic. Ask yourself, “What do I experience when I connect in the creative process?” Since this exercise is with you by yourself, I invite you to be honest with what you actually experience. This is where the learning comes. Looking at what you actually experience, comparing that actual experience with what you want, and adjusting what you do, repeatedly. This is also the art of resilience, the ability to learn and adjust. Ask others what they experience. Share with them what you experience. Ask them about what they experience. Do you see any similarities? Any unique differences? Share with someone else. Share what you see, with someone you trust. In this sharing, look for: (1) what you see in yourself, when you hear yourself sharing; (2) what you see in yourself, when you look at the other person you are talking with; and (3) what they see in what you share. Other — your experience of your sacred hospitality of another. Share with someone else. What do you see about your co-hosting of another? What do you see about how the other person co-hosts another? When we see it in another person, we are seeing own selves in them, in capacities we also already have or in emergent capacities that we could develop further. Share with someone else. What do you see in common with their experiences? These practices seem to work everywhere, and they are very efficient. The questions for yourself can start with 5-minute reflections. The sharing with someone else can start with 20-minute conversations. We find that starting this simply often leads to great insights. That is a high return on co-investment, a few minutes of reflection and conversation leading to transformative insights. These practices are part of a toolkit of collaboration basics that we are developing through our observations and fieldwork. In essence, we start by getting clear that those of us involved in the process want better experiences and better outcomes, and that there is a deeper shared purpose that brings us together. We then agree that the process starts with the self, with how I co-host myself. I can only invite the levels of experience with others that I am willing to invite with myself first. We then agree that we prefer the experience of abundance to that of scarcity, that we have choices in our agreements, and that we want to experience more deeply the co-hosting of the vibrancy available in each of the five primary relationships, at the same time. Through a process of reflection, sharing, inquiry, and feedback, we are able to see what we want, what we actually experience, the difference between the two, adjust what we do, and repeat. This is the process of tangibilizing the potential we see, through specific pathways to outcomes, which provides evidence about the potential and pathways we saw, adjusting, learning, and evolving. Sacred hospitality. Sacred comes from the PIE root *sak– “to sanctify” to make holy, and holy comes from the PIE *kailo–“whole, uninjured” or health. Hospitality comes from the Latin hospitalitem for friendliness to guests. So, sacred hospitality is how we invite greater health–better experiences and outcomes–through relationships, to the self, other, group, nature, and spirit. We all want better experiences and results than we usually achieve, on a more consistent basis. We like being well hosted, and we enjoy hosting others. Whether or not people have been consciously capable of consistent sacred hospitality in the past, my colleagues and I find, across the world, the emerging capacity and desire in everyone to experience deeper levels of co-hosting. It starts with each individual, taking on the sacred hospitality of their own creative expression, doing the same with others, and consciously choosing in the groups where they interact to co-host each other and the group. The experience is far better, as are the results and the resilience of the impacts. If we can do it, and if we prefer it, then maybe it is time to starting doing it.